The role of water in a rice economy such as Bangladesh is of such overwhelming importance that one would be hard-pressed to overemphasize it. In order for there to be effective democratic decision making the people need to be informed. And yet one is struck by the fact that there are no readily available texts on the history of economies of the subject---- and the few books that are available are reactions to the water projects that have been proposed or have been undertaken. The policies acted upon has been undertaken on the basis of reports to the Government, but even these professional reports, on which so many projects were undertaken, are scarce and moth-eaten. 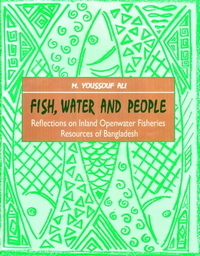 This collection is based on the belief that the role for water in the macro-economy of Bangladesh should be decided with proper historical perspective. We should know how we got where we are if we wish to take stock and decide how to move to where we wish to go. The documents reproduced in this volume focus purely on twentieth century reports and studies. Even there, one finds a discontinuity in the literature prior to the independence of Bangladesh and that which came subsequently, particularly after 1988; there is a true explosion of interest. Fortunately, most of the later studies are actually available---- though not readily----but can be accessed with some effort. 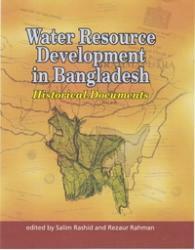 Therefore, we have limited this collection to the most influential studies undertaken prior to the independence of Bangladesh. It is our hope that the perspective provided by these historical documents will encourage more discussion and popular engagement in an issue of central importance to the people of Bangladesh generate interest around the role of water management in the future of Bangladesh. With the current environmental concerns that have propelled a sense of urgency regarding water resource management, this book will be a very relevant source of knowledge.